If your business is interested in outdoor advertising, the first thing that you need to know is that it will not come cheaply. Yes, there are ways to get the message out there that are more affordable, but if you want a billboard in a prime location, such as beside one of the busiest highways in your area, you are going to need to pay handsomely for it. After all, these are not ads that you can simply run for a week, as billboard advertising is usually up for months at a time. Outdoor advertising is great in the middle of the day when they are easy to see, but what about at night. 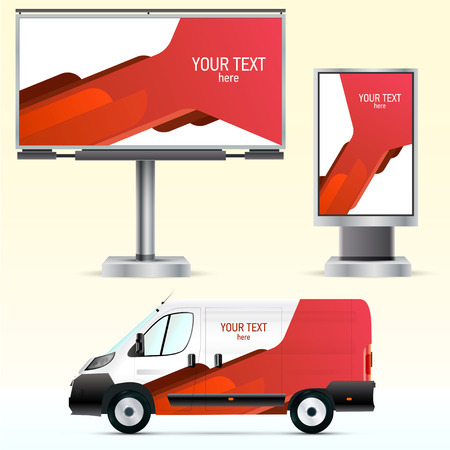 Sure, billboards usually have some type of lighting in place, but the message on the board might still not easy enough to see, especially if there are some smaller details, such as the phone number of your business or your website URL, on the ad. The ad becomes even less effective in the winter months when the number of daylight hours is less than usual. Even if you have a massive ad sitting in a great spot beside the freeway, the people who pass it only have a limited time to see it. Speed is a factor here. Drivers are and should be more focused on the road than they are on the ads that sit alongside it. Even when you have ads in a location, such as at a bus stop, where there is foot traffic, people nowadays tend to be in a hurry and have their faces stuck in their phones. That is why viewing speed and ad dimension is a big factor. When you place an ad online, you are quickly able to gain access from the ad server to all sorts of data that shows you just how well each ad is performing. The same is definitely not true for all outdoor advertising, as the only sure way you will ever know if a customer is using your business because of a billboard is when they actually tell you. If you have seen outdoor advertising, which we all have, then there is a better than average chance that you have seen more than your fair share of defaced ads. Unfortunately, vandalism is still rampant, and all the money that you spend on your advertising can very quickly be lost because of people messing with those physical ads.